Welcome to Smiths of Drogheda! Established in 1936, you can imagine the years of experience we have gathered in the motor business. 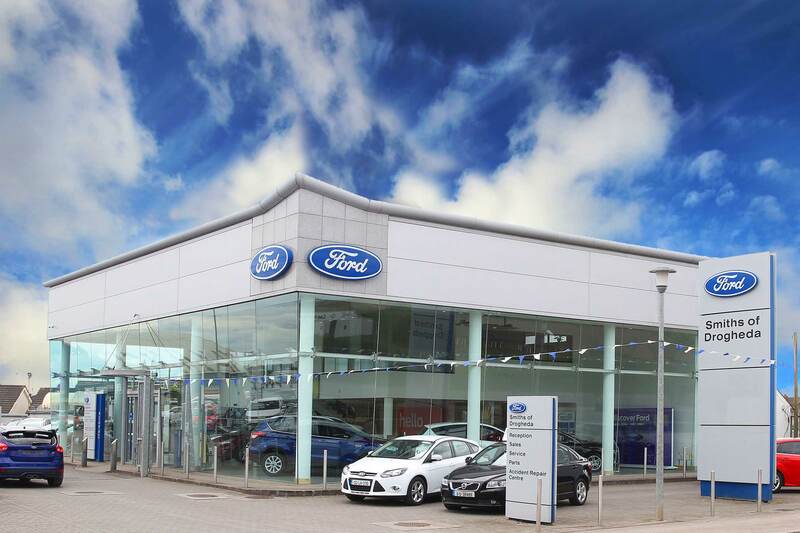 The wealth of knowledge gained over three generations ensures our position as one of Ireland's leading main Ford dealers. We have a great range of brand new car and commercial deals available on the fabulous New Ford Range. The whole team at Smiths of Drogheda would like to congratulate Anthony Smith. The Lifetime Achievement Award presented to him in particular for his Pioneering Spirit and contribution to the Community could not have gone to a more deserving individual. The Smith's Team is dedicated to caring for you and your Vehicle. Whether it's Sales, Service, Maintenance, Parts or Accident Repair, our people have the experience to ensure the smooth, efficient service you demand. Check out our latest Special Offers and come and view our extensive range of new Ford cars and Commercial vehicles, like the All-New Fiesta, Focus and the stylish Mondeo, or the Transit range.